Miles from Kara was a wonderfully pleasant surprise, with an engaging storyline and relatable characters I was mesmerised from the very first page and finished it in one sitting. Miles from Kara is Kara Marcus's book, a young girl struggling to move on from an incident from her past, she has regrets and she knows pain but she's also the type of person you'd love as a friend with her kindness, humour and compassion. 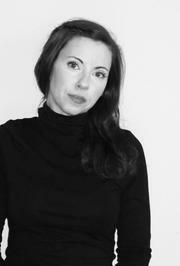 She is also stuck in a relationship that is going nowhere and lusting after her boyfriend’s roommate Colt. Aussie Colt was the perfect boyfriend material, smexy, understanding and accepting; I adored his kindness and patience and his devotion to Kara, she could be hard work at times but he stood by her side. The chemistry between these characters was off the charts, they couldn't have been more perfect for one another. All of the secondary characters played a pivotal role in this book, their interactions and the banter between them all was done very well. Kara is a second year freshman and is still undecided about what she wants to do but knows she wants to help others so she accepts a role at Helping Hands as a counsellor which forces her to face her past decisions when she meets a young girl, Maggie who is 16 and pregnant; Melissa West dealt with the sensitive subjects such as teen pregnancy, abortion and adoption in a way that was believable and compassionate; this aspect was done very well. I also loved the role therapist Rose played and the way she assisted Kara as she had Olivia in the first book, she was a fabulous character. I would honestly read Melissa West's grocery list! Her writing is brilliant and I am always drawn into her storytelling, whether it is YA Sci-Fi or new adult, it is all fantastic with amazing characterisations and attention to detail. 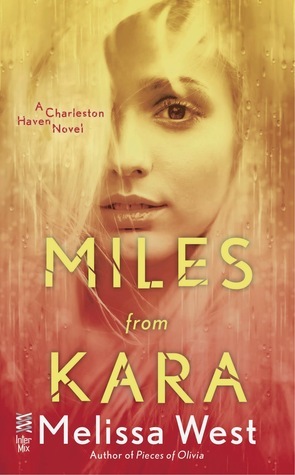 Miles from Kara is a lovely addition to the Charleston Haven series. Cover: I love the beautiful cover, amazing colouring and the girl is the perfect Kara! I'm not usually a fan of faces on a cover because I don't feel they reflect the characters within the book but this one worked well for me. 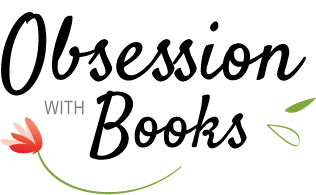 Thank you to Penguin/Signet Romance for the opportunity to read and review this title. all with lots of kissing. Because who doesn't like kissing?. She lives outside of Atlanta, GA with her husband and two daughters and spends most of her time writing, reading, or fueling her coffee addiction. I have never tried West. This sounds fantastic and I love when an author is so good you would read their shopping list! I am loving all the books bought out by this author Kimba! Great YA & NA. One sit reads are the BEST! It's funny how some authors are so talented that their writing can turn the most mundane things into pure awesomeness. I can always use another fictional boyfriend, so you might have a fight on your hands where Aussie Colt is concerned. LOL! Oh wow, one sit read! I liked her YA book but the first book in this series sounded a lot like the same 'broken girl' storyline out there. Glad to see you loved this one Sharon! This was great Nereyda! I haven't read the first book but I'm hoping to read it soon; fingers are crossed that it doesn't follow the same NA tropes. I've enjoyed Melissa West's YA books and I've been meaning to give this NA series of hers a try. It sounds like it's an awesome story with great characters. I'll have to try it for sure.